PIKETON, Ohio – October 4, 2011 -- The Department of Energy (DOE) announced Oct. 1 that USEC has taken the final steps in de-leasing and returning facilities at the Portsmouth Gaseous Diffusion Plant in Piketon to the DOE in preparation for decontamination and decommissioning (D&D). 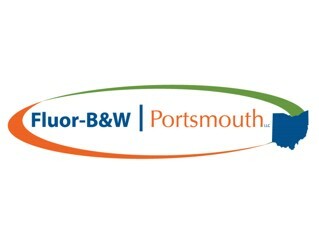 Along with the de-lease of facilities, more than 500 people associated with the facilities became employed by Fluor-B&W, Portsmouth LLC (FBP). The contractor’s work force on site is now more than 1,800, with the majority coming from the USEC work force, as well as that of LATA Parallax Portsmouth, a former environmental clean-up contractor on Site. USEC is a private company that operated the plant in the 1990s as well as in cold standby and cold shutdown status since 2001. USEC’s de-lease and return of gaseous diffusion facilities to DOE does not affect the American Centrifuge Project, which is located adjacent to the former gaseous diffusion plant at the site. The return of the Cold War-era buildings to the DOE will allow FBP to expand D&D operations. The company began its first phase of clean-up at the end of March. DOE awarded the $2.1 billion, 5-year D&D contract, with an additional 5 year option, to FBP in August 2010. The contractor’s work began in March 2011 and the contract is scheduled to end in 2021. FBP’s contract is to clean up the Portsmouth Site safely and compliantly and to coordinate the cleanup with the local community’s future vision for the site. The site facilities in the D&D Project were used to enrich uranium from 1954 to 2001. The enriched uranium was originally used for national defense and later for fuel for the U.S. Navy and the nuclear power industry.